Are Your Contracts Leaving Your Business At Risk? Contracts are the building blocks of most businesses. There will be contracts with customers and suppliers (terms and conditions), employees (employment contracts), landlords (lease) and contractors (T&Cs again). Contracts define and regulate the most important relationships of the business. Given this, I always find it surprising to come across businesses with no written contracts at all, or which rely on contract documents that don’t say what they’re supposed to. Often business people – especially in the early days – want to save money by drafting their own contracts, or ‘doing a deal on a handshake’. It’s easy to find a template document on the internet, make a few tweaks and think, “That should do”. But not having proper contracts drawn up is a false economy. While every business needs to keep an eye on costs, the impact in time and expense of a poorly written contract can be devastating. At best it can mean writing off debts which a customer refuses to pay. At worst it can mean an expensive trip to court to sort out the mess. The legal ramifications of some transactions and services can extend for years – even decades – after they have taken place. A contract that is missing vital clauses could cause legal claims and lawsuits to arise unexpectedly years later. That product you sold without a limitation of liability clause in your T&Cs? That employee who you never quite got round to preparing an employment contract for, and is now working for a competitor? That job you did on a casual basis for a friend of a friend? They can all come back to bite you. A well-drafted set of contracts for your business stops you being taken advantage of by others. Many important legal protections are available in business – such as limiting your liability to a customer, or preventing an employee going on to work for a competitor – but only if they are set out in black and white and agreed in a contract. You may not need a new and unique contract for every transaction. 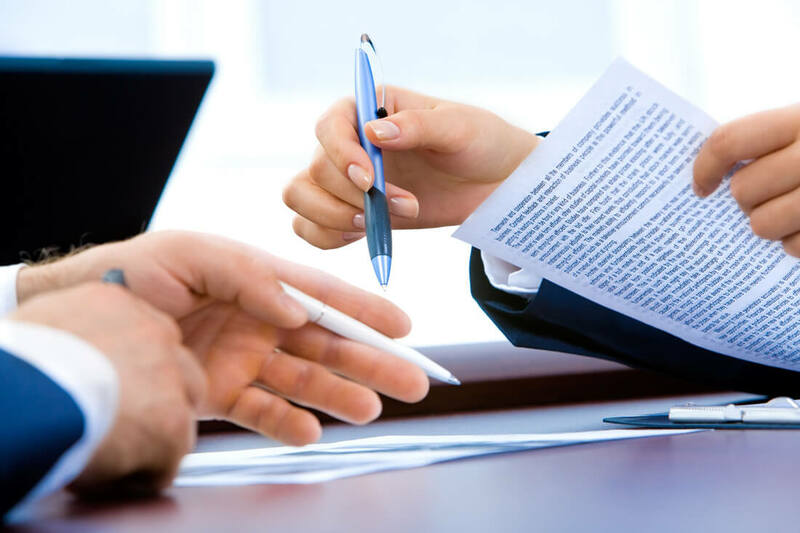 If your business’s transactions are all substantially similar to one another, you could have a few (or even just one) standard contract containing key terms. It can then be used repeatedly over time, for hundreds or even thousands of transactions and sales. There are many important things to remember when starting and running a successful business. One of the main ones is to have professionally-drafted and reviewed contracts that protect your business and your livelihood. For more information on making a will click here.